Over 300,000 Views since 2008 - This is my 1989 Corvette Convertible Classic ....... 22 year old RoadsterThis 1989 C4 Convertible is Torch Red, it is equipped with an automatic transmission, selective ride, dual power seats, dual zone a/c, power steering colum, and all standard features. This C4 has C5 Z06 style wheels with Good Year Eagle F1 GS-D3 tires with about 14,000 miles on them. This car is in amazing shape for being 22 years old. This is the Vette I brought in 1993 when I took the head Basketball position at E.E. Smith HS. I have owned this vette 18 years and it has the original engine / transmission and only 67,000 miles. This Vette has a 5.7 liter engine and has been tested at 155 MPH. Voted a 5th place winner in 2006 , in the Talleywood Classic Car Show. 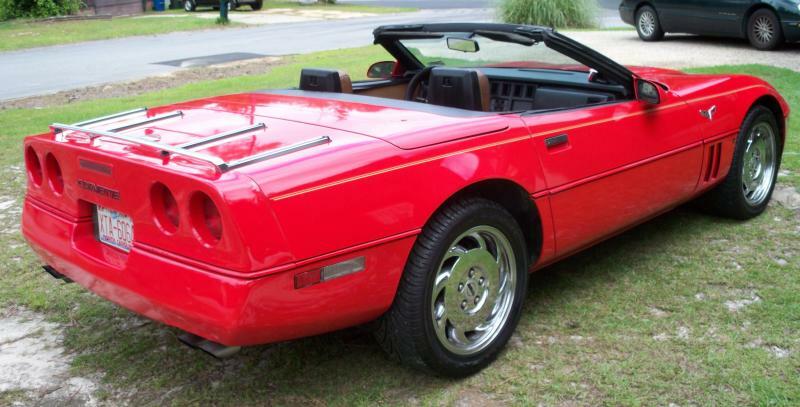 This 1989 C4 Convertible is Torch Red, it is equipped with an automatic transmission, selective ride, dual power seats, dual zone a/c, power steering colum, and all standard features. This C4 has C5 Z06 style wheels with Good Year Eagle F1 GS-D3 tires with about 14,000 miles on them. This car is in amazing shape for being 22 years old. This is the Vette I brought in 1993 when I took the head Basketball position at E.E. Smith HS. 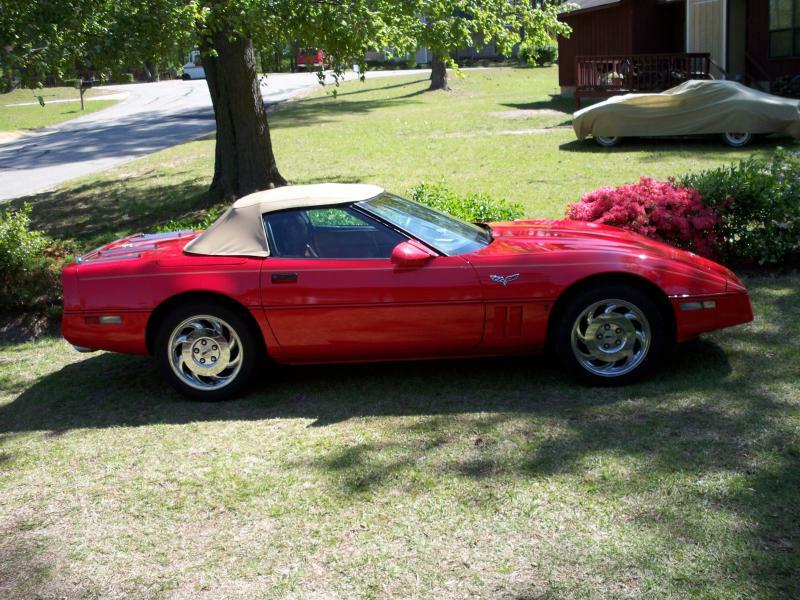 I have owned this vette 18 years and it has the original engine / transmission and only 67,000 miles. This Vette has a 5.7 liter engine and has been tested at 155 MPH. Voted a 5th place winner in 2006 , in the Talleywood Classic Car Show. Model-year sales by U.S. dealers: 23,928. The $25,895 Callaway Twin-Turbo engine package could again be ordered through specific Chevrolet dealers as RPO B2K. Cars that received this package were sent from Bowling Green, Kentucky, to the Callaway factory in Old Lyme, Connecticut, to receive engine modifications and other upgrades. The 1989 Callaways had 382 hp and 562 lbs.-ft. of torque. For 1989 Callaway Twin-Turbo Corvettes a different engine-coding sys­tem was used. Callaway engines were stamped with the first two symbols indicating model year, followed by three symbols indicating order in the Callaway production sequence, followed by four symbols matching the last four digits of the Chevrolet VIN. Chevrolet built 60 Corvette Challenge cars with stan­dard engines. Of these, 30 were shipped to Powell Development of America to receive race-modified engines and other competition modifications for the 1989 Sports Car Club of America (SCCA) Corvette Challenge racing series. At the end of the year, these cars had their original factory-numbered engines re­installed.